Not that it was ever any sort of formal declaration, but in spite of my liberal political leanings that – during an election season like this – can at times get a little manic and fever-pitched, I had made something of a promise to myself I would not use this blog as a soapbox for any political rants (that’s what Facebook is for). I am sure that for many of my FB friends, they will be glad that today is election day, not just because the fate and future of this country will be decided for another four years, but perhaps even more so, so that I will finally shut my yap, and we can get back to business-as-usual. When it comes to liberal politics, I am about as dyed-in-the-wool as it gets. I follow the footsteps of my parents and grandparents, and since I first started becoming politically aware as a kid, have believed that it is the role of government to help provide an environment where opportunity is made available to all, where to be black or a woman is not a barrier to entry, and where equality truly means just that: that you will be treated equally and fairly regardless of who you are, what you believe in and how you choose to lead your life – as long as it does not cause or create harm to others. So about this unspoken promise to myself, the one I am breaking as I write with the intent to post: I often do a quick check of my email either before I go to bed or when I get up in the morning, and on this particular occasion was a little stunned to receive a message from a business associate giving the hard pitch to vote today for the Romney/Ryan campaign. He and I do not know each other, and his belief for a different kind of America, one that favors greed and the rich is fine; I just don’t believe that his email was an appropriate use of this strictly business relationship. Had he sent out a similar email asking for my vote for Obama for another four years, he already has that, but regardless, I would find it just as inappropriate. My initial gut reaction was that I should write back and similarly abuse the relationship by giving him a piece of my mind (and also suggesting that he use spell-check before hitting send, but that another issue entirely). In the end (meaning after about 15 seconds), logic won out, and I decided to post my thoughts publically here on this barely-read blog of mine. So anybody who knows me well likely knows that I have strong political opinions, and I don’t need to go on any more of a diatribe than this rambling rant has already become. I have several friends who believe that the whole political game is just a big sham, and that government in America is all the same, that the two party system essentially provides us with two different shades of the same gray. I understand the perspective, however while I do think there is some truth to that sentiment, I do not agree that is ultimately the case, and is certainly not the case in this election. Obama is gonna win this one (and he deserves to). The GOP pundits will be crying foul and pointing fingers upon minutes of the results of this election, but the fact is that to no small degree, the Romney campaign has to itself blame as much as anything. Ronald Reagan’s son, Ron makes the case that “The Romney campaign is built upon four pillars: dishonesty, vote suppression, race, and the still-struggling economy.” I understand people’s worries about the state of our economy, however I feel that their dissatisfaction that Obama did not fix in three and a half years, the shameful legacy that the Bush administration left this country after eight years in government, is very misplaced. To all the catastrophizers out there, the world is not going to end. You will live through this just as we lived through the previous eight years before Obama took office. Sometime when you have a couple of hours to spare, watch this FRONTLINE episode about Obama and Romney, “The Choice 2012.” By then the choice will have already been made, and your opinion will not have likely been changed, but I do contend that these are two very different men with two very different ideas of what is right for the people of this country. Tagged with Election, Obama, Politics. Thank you, Daniel! Until we expanded our friendship to include Facebook I didn’t realize our politics were so closely aligned (except for the part about our exceedingly narrow, corpoorate funded choices) and equally passionate. They also spring from the same source; yours from your family, mine from mine. 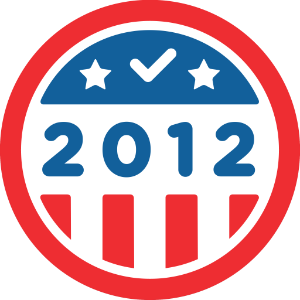 Here’s to four more years of protecting and expanding our social contract and our country’s resources from short term, rapacious greed. Right on, Daniel. Loved your rant. Crossing fingers. Way to get it out of your court bright & early, Daniel. Now you can enjoy the rest of the 7-hour ceasefire. Great chart in paragraph 1! Great rant, Daniel. Glad you don’t subscribe to that foolish conspiracy theory (although like you, I can see why people do) that all the parties are simply alternate flavors of the same opium designed to keep the masses pacified. No, Obama really DOES control the government as much as any president can, and he really does answer to us, and if we want to enlarge the people’s voice and reduce the amount of power wielded by the corporations, Koch bros., etc., we will have to do it by electing the right representatives and empowering them to do our will. Something has GOT to be done about campaign spending and I wouldn’t mind if both candidates were forced to spend a certain, limited amount of money. In France they can’t campaign until like a month before the election and no advertising is allowed, so people actually hear about issues on interview shows etc. but I guess that is too intelligent a way to do things for it to happen here.